Paragon seems like a MOBA for someone like me: a player more used to directly controlling their characters; someone who likes to shoot people and look at pretty graphics. That’s probably why Epic have celebrated the Early Access release by making a video explaining MOBA basics, because Paragon has the potential to introduce more non-MOBA people to the genre. The full release isn’t for a while, just like some of these upcoming PC games. You can play Paragon right now if you’re willing to support the developer with the purchase of a Founder’s Packfrom the official Paragon site, but you might want to watch this video taking a look at the systems first, especially if you don’t know how to push a lane. Be prepared for some of the tips to be really basic. One of them is “stay alive”. It does dig into some Paragon-specific stuff later on, though, covering the game’s take on sprinting, called ‘travel mode’, and explaining the card system where you select in-game items. Paragon will introduce a new hero, Sevarog, in a couple of weeks; with Iggy & Scorch to follow. These, along with new in-game items, will be only earnable through gameplay. Paid items will be cosmetic only. 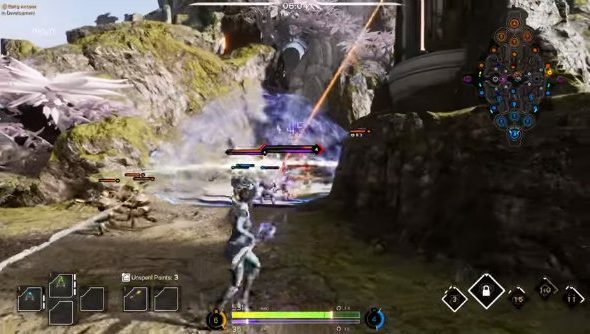 Paragon will release in its complete free-to-play form on June 7.